Major Spoilers is the third website Iâ€™ve had the pleasure of building from the ground up. Iâ€™ve previously written about the professional video and audio industry, ran a site that was dedicated to streaming media before podcasting was ever a word and the world ran on dial-up, and have written about the consumer electronics arena. And through it all, thereâ€™s one thing that struck me as odd – the relationship between a reporting site and comic book publishers. My first day writing for Digital Media Net, I was assigned the task ofÂ sending emails and calling up companies in the industry, and introducing myself, what areas I covered, and getting my name placed on the PR and Marketing lists. The idea isÂ that once one is on the list, the press releases begin to flow, and follow-up correspondence would lead to review units, interviews, and the coveted â€œExclusive Advanced Review!â€ (exclamation point added for dramatic effect). And you know what? It worked. Once the company proved itself as a source of valuable information, the press started flowing freely our way, to the point of inundation. I had more things to write and review than I could possibly handle. When it came to convention time, I was flooded with requests from companies (many of which I had never heard of) hoping to get me to meet with them in order to get a coverageÂ on ourÂ website. That success followed as I moved to Consumer Electronics Net, with even more companies looking to get a mention in hopes boosting name recognition. For me, I couldn’t care less about a companyâ€™s agenda. I am simply interested in good products and making sure consumers are informed when they’re making purchasing decisions. When Major Spoilers started, I hit a wall. Itâ€™s been like pulling teeth to get certain companies to put us on their e-mail list, and even harder to get certain companies to send us review copies of their titles (in .pdf form). Why? I wonder if it is about ego. No company likes to hear negative comments about itsÂ products – not even giantsÂ such as Apple, Avid, and Adobe (remind me to tell you sometime of how a certain â€œAâ€ company came down on my colleague and me during a convention over something that was said and written). This leads to a carrot-and-stick mentality between the industry and those who report on it; ifÂ a reviewer writes something bad about a product, then that reviewer is less likely to get review units from said company in the future. Another way to put it: â€œYou’d better not write anything bad about us if you ever want cooperation from us in the future!â€ (exclamation point not added for effect). This is not a stance Iâ€™ve ever taken, as I would have no value as a reviewer if I didnâ€™t tell the truth.Â Itâ€™s not journalistic integrity that is behind this, as there is some question if someone who writes reviews is really a journalist, but it is my personalÂ integrity. Instead of turning over and presenting at the mere notion of getting special treatment for a good word thrown out here and there, I would rather be a watchdog than a lapdog to the industry – regardless if that industry is professional video, consumer tech, or comic books. Yes, it is going to make some people angry (namely the PR folks), but a negative comment can go a long way toward making a company try harder to get its message out. I found it interesting that the first time I wrote a negative review of a certain â€œAâ€ companyâ€™s product, I was instantly inundated by representatives from the company, asking me to review its other products in hopes that there was something that would change my point of view. So what does all of this have to do with comic books and the small publisher? Interestingly, while Major Spoilers is on the â€œBasic Marketing Listâ€ for the big two companies, we arenâ€™t on the coveted comp list for free comics (Marvel used to provide evaluation copies for review, but have since changed itsÂ stance for all but a few major websites). Other companies like Boom! Studios (from what I can tell) seem to treat allÂ its requests equally, and even send out regular updates to the media alerting them to the latest titles and offering complimentary copies. 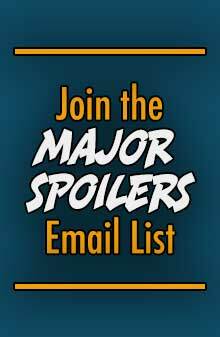 Is it a big deal that Major Spoilers isnâ€™t on the review list for DC and Marvel? Nope, we can still easily get our comics through our local comic shop if we want to reviewÂ them. 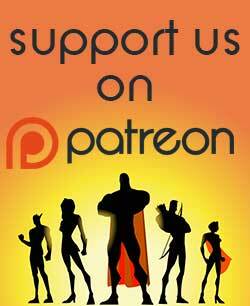 But that means we are only limited to the comics we choose to purchase, and in a time of light wallets, that selection is pretty slim. I receive all of my comics from my LCS over 100 miles away.Â We have a system worked out where James (my dealer) will pull my comics weekly and mail them to me.Â This week was different — the grand olâ€™ United States Postal Service seems to have delayed, misplaced, or lost my shipment from last week.Â For a site that reviews comics, this is a deadly predicament to be in; no comics means no reviews, and no reviews means a potential drop in readership. Who came to save the day?Â Those wonderful smaller publishers! (exclamation point added for enjoyment)Â Thereâ€™s not a week that doesnâ€™t go by that Boom! Studios, Top Cow Productions, Radical Comics, Red 5, or other non-top two publisher doesnâ€™t send out a mass email offering up an issue or two (or a dozen) for review.Â Â Some of these are already on my LCS pull list, while others, like Radical Comicsâ€™ City of Dust, are only discovered because it shows up in my In Box. With the recent decree from Diamond Comic Distributors that it is increasing its minimum orders from publishers, many small houses have found themselves in a pickle and, in my opinion, are canceling many of their titles prematurely as a result of the news. I read Seth Godinâ€™s website everyday, and am constantly amazed at his upbeat attitude toward business and industry in a time when things are looking bleak. Instead of being pessimistic about business, Seth insists that a different outlook can drastically change the outcome. When my comic shipment didnâ€™t arrive last week as expected, I didnâ€™t curl into a ball, bemoaning the number of readers that would be lost or comics that would not be enjoyed. Instead, Iâ€™ve been looking at other sources to see what can be reviewed. Why canâ€™t this work for the smaller publisher? Iâ€™m not a print publisher, and will admit that my knowledge of print schedules, minimum orders, and the like, all comes from my conversations with a good friend whoâ€™s been a magazine editor nearly all his life. It seems that instead of worrying about canceling titles that have low order amounts, the smaller publisher should work to increase awareness of its offerings to increase demand, thus meeting Diamondâ€™s new minimum limit. Thatâ€™s where sites like Major Spoilers and others come in. Put us on your marketing lists. Send us your titles for review. If the title is reviewed on the site, who knows what will happen to demand — but it costs you nothing but a little extra time to put together a screen resolution PDF document and send it out. The worst that can happen is your book isnâ€™t reviewed. While it may seem a negative review could be the worst that happens, itâ€™s actually a positive in it makes the writer/artist try harder the next time. The best thing that can happen as a result of your email? Your title is seen by hundreds of thousands of eyeballs, readers who would have neverÂ heard of this title. As a result, demand for the title increases. For those publishers who’ve already placed Major Spoilers on its distribution list, and send us regular updates, I want to thank you. For the rest of you, in these tough economic times, why arenâ€™t you flooding outlets with information? What else can the small publisher do? 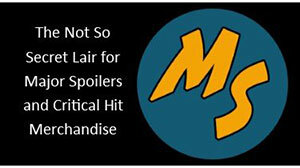 Keep checking out Major Spoilers and the Major Spoilers Podcast as Iâ€™m working on something with a small distributor who has had huge success in marketing his comics.Â We’re just working on the date and time at the moment, but it should be ready soon. wyntie: I’ve been meaning to have at least one insightful commentary piece a week, but somehow it slips past in all the other stuff I’m writing about. You need to do more of these….Well actually il survive without, but only because i listen too the Podcast and you tend to go in deeper there…So it wont kill me if the blog is reserved for news and the podcast for the in depth stuff…Still though nice piece on the media-industry dynamic, very informative. Why do you tease….Thats horrible! Little ol’ DDOY knocked on the door of the guys at Red 5 & BOOM! Studios and they responded. Granted I don’t generate the amount of page views that you guys do … but they still want to hear from me. Chip Mosher has sent me gobs of stuff in the mail to review. The smaller guys are doing a much better job of getting out there and getting me to review, read, and BUY titles that myself or my readers typically wouldn’t. Jon: I hear you, Chip is one of the BEST marketing and public relations guys in the industry. Both have been very good at sending stuff our way, and I thank them for it. However, where are the even smaller publishers and indie guys? If they are so worried about meeting that 2500 issue cap that Diamond has imposed, now is the time to come a knockin’ on our door.